Most projects hold topping out ceremonies when the last beam is put into place atop a structure. 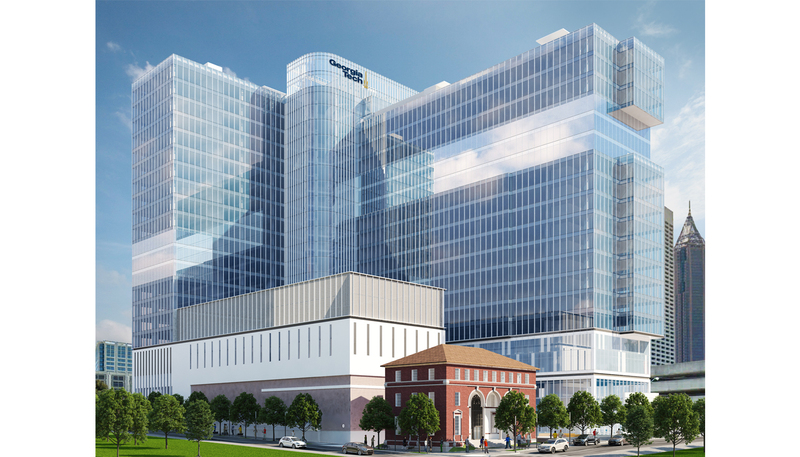 However at Coda, Georgia Tech's new high-powered computing center in midtown Atlanta, the project team held a “bottoming out” celebration marking the completion of mass excavation. 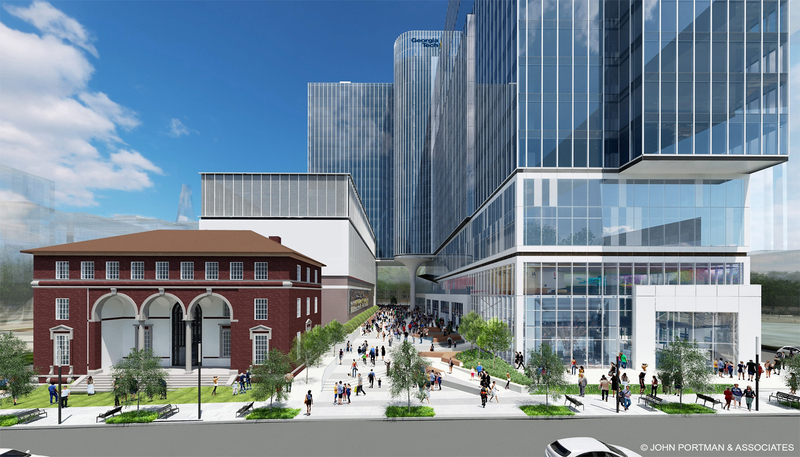 Once complete, Coda will be a 750,000-sq.-ft. mixed-use complex near Atlanta’s Downtown Connector and Georgia Tech’s campus at Tech Square. 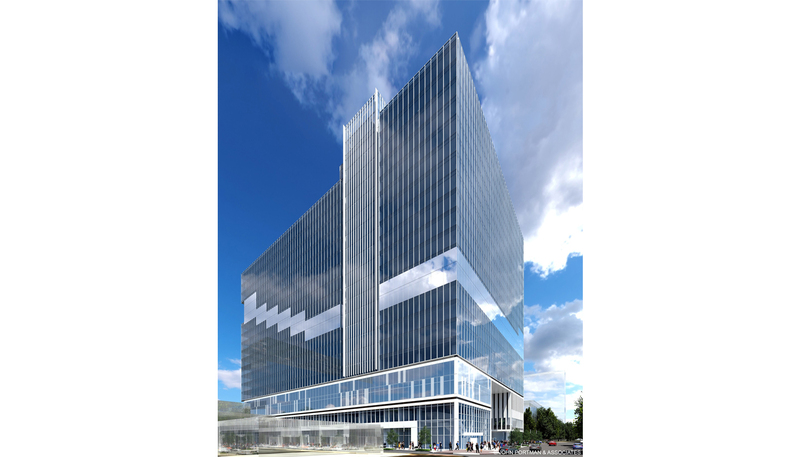 The building, which will occupy a full city block, will feature a 630,000-sq.-ft., 21-floor Class “T” Office Tower, an 80,000-sq.-ft. high-performance computing (HPC) data center, 50,000-sq.-ft. office, retail and lobby space, and 330,000-sq.-ft. parking garage. 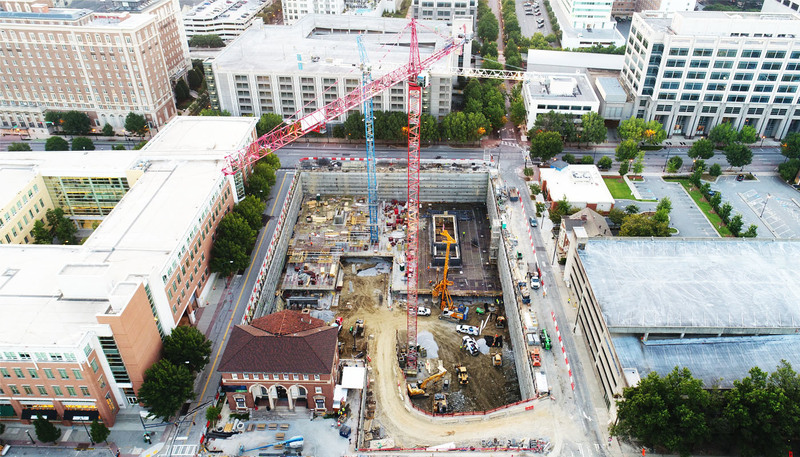 Despite above average rainfall, lost days due to weather, and working in a downtown environment with no laydown space, the team is collaboratively managing and maintaining the overall project schedule. DPR is working with the development team of Portman Holdings and NextTier HD on the project, which is slated for completion by the end of 2018.